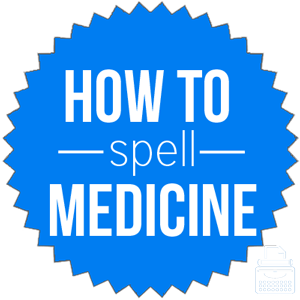 Spelling of Medicine: Medicine is spelled m-e-d-i-c-i-n-e. Definition of Medicine: Medicine is a substance used in treating an affliction, illness, or disease. Additionally, medicine is the science and study of substances and preparations that help maintain health, as well as treat, cure, and prevent diseases and sicknesses. Pronunciation of Medicine: Medicine is pronounced med-i-sin. The “-c” is soft, sounding like an “-s”, and both the “-i’s” are short despite the “-e” on the end. What does medicine mean? Medicine is a noun. It refers to either the actual substance used to treat and prevent illnesses and diseases or to the practice of studying and dealing with the diagnosis, prevention, and treatment of disease or illness. The doctor instructed him to take the medicine three times a day for seven days. Her most recent research will be significant in the advancement of modern medicine. A dose/taste of one’s own medicine: treatment that is similar to the rude or unpleasant way someone has treated others. After leaving her groom at the altar, the bride got a taste of her own medicine when her new fiance broke off their engagement. Western medicine: an overarching term describing the methods of treating and curing diseases that are taught in Western medical schools and hospitals. Family medicine: the specific practice of providing general medical care to people of all ages. According to Merriam-Webster’s, medicine was first used in the 13th century. Medicine is from Middle English, having come from Old French from the Latin word medicina which comes from medicus, meaning physician. For the definition of the word medicine as a specific substance one ingests to prevent or cure some illness, there are a few synonyms that can be used to replace the word. Medicine is a noun. It refers to the entire field of the study and practice of preventing, treating, and curing disease or to the preparation used to treat or cure a specific ailment or disease.